I'm a little bit excited about this blog post! If you know me at all, you will know I am a HUGE, pathetically fawny (as in, I seem to fawn almost helplessly) over all things nuptial, and all things a little bit pretty (or a lot bit pretty), so when the opportunity arose to exhibit at one of Perth's most beautiful and unique wedding fairs, First Comes Love (FCL), I was in like Flyn, as they say! Now I don't know who Flyn is, but he gets in. And I respect that. This year, as it was last year, FCL was held at Mosarts, an absolutely beautiful and character filled venue in the heart of Mosman Park, that provides a space to cater for all kinds of artists and creatives in Perth. I love this venue; its a bit retro, and makes for the perfect venue for FCL. I was excited for the opportunity to meet and mingle with other Perth wedding vendors, and also to meet and greet potential bridey's. I love bridey's. Bridey's are (usually) quite an excited bunch, about to embark on planning the biggest, and most joy filled celebration of their love, and call me crazy, but I reckon this can bring out good things in people. That said, you get some scary brides…but they aren't the norm by any means! One of the main reasons I want to blog about this event, is because of how impressed I was by the totally beautiful contributions by vendors to my exhibit! 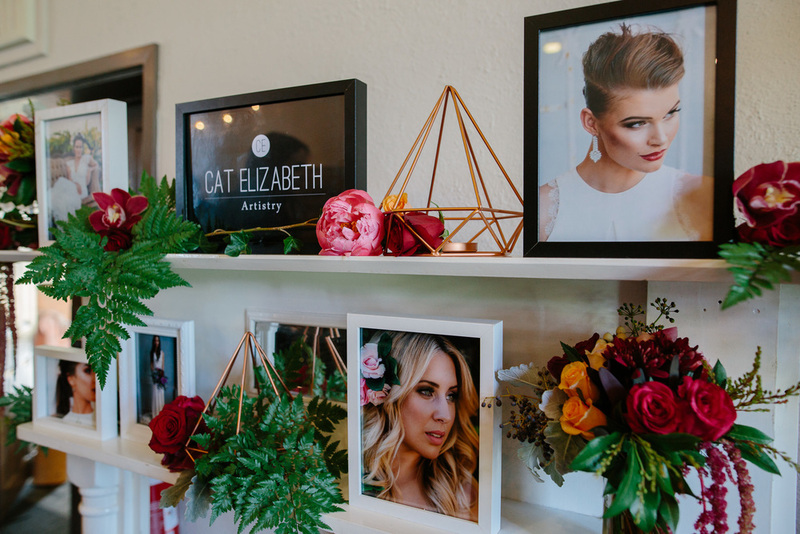 I was lucky enough to have the help of some wonderfully talented Perth wedding peeps, including Emma from Flowers for William, who put together some AMAZING blooms for the display, including deep wine tones, red, textured greens, and also softer apricots and silvers. Accents of copper added a modern edge. Check out Flowers for William's work out on instagram (which in itself, is a veritable feast of flowery visual goodness)! 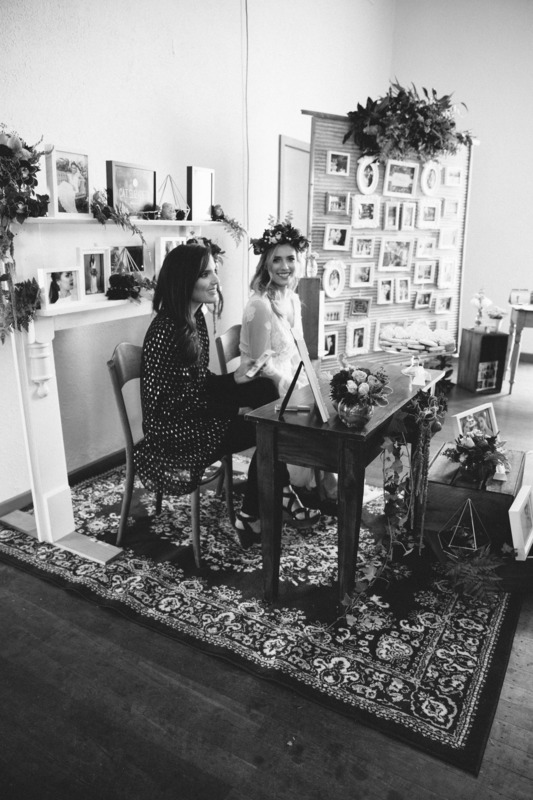 Tanya (a legend), from Little Love Story Hire + Style , generously provided some BEWDIFUL antique pieces for the display. Her pieces, and ability to style them is phenomenal. She is passionate about what she does, and I was solucky to get to collaborate with her on this project! I wouldn't hesitate in recommending her for her talents and for the amazing collection she has, and what she can do with it! Adding something sweet and very special to the display was Katherine, from Kupcakes for Katherine, who created gorgeous, personalised, sugar-cookies, and delicious, strawberry-filled cupcakes; these went down a treat! As a side note, Katherine and Emma are sisters, and quite the dream team! 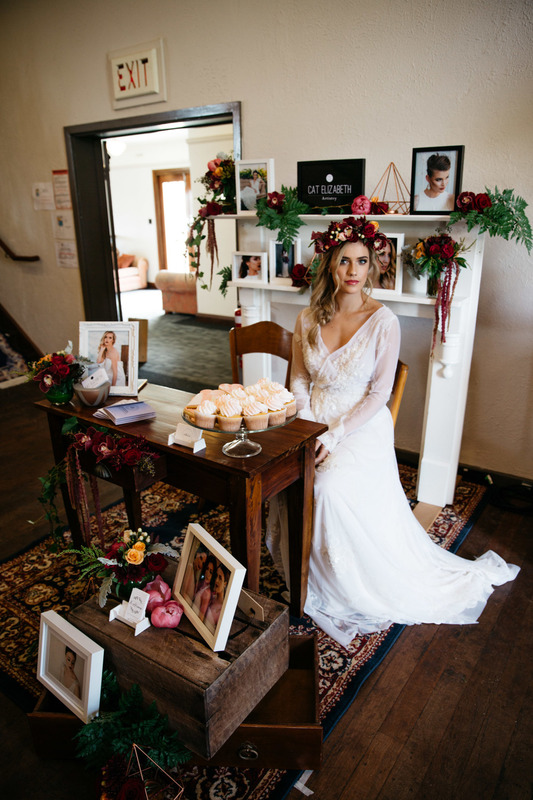 With cakes, blooms and styling covered, these two are a bit of a one-stop-shop for folks planning weddings or events and looking for that special touch! I was so lucky to have the beautiful Venine Palm as my live model for the event. As a makeup artist, I think its really important to provide real life examples of your work, as often as you can. Its all well and good to have lots of nice photos, but people like to see the makeup on a moving-grooving-walking-talking face! 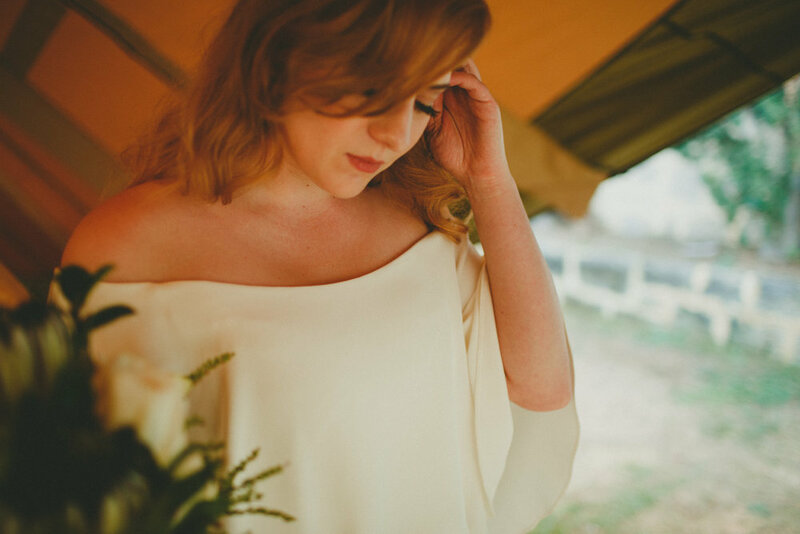 Below: Makeup by me on the delightful Brooke from Darling Music, with soft updo by Simone Hall Hair. I wanted to do a classic, clean and polished bridal makeup look on Brooke - I hope you like it! Lastly, but definitely not leastly, I have to mention the two beautiful gowns that we borrowed for the occasion. A delightfully boho, beaded, long sleeved gown by Louis Col Designs , and a beautiful, high necked, clean lined piece from Lola Varma Bridal. Both pieces quite different, but very beautiful in their own ways. I hope you like the images below! Thank you to Peggy Saas , Jordan Hendy, and Natasja Kremers who were all generous enough to catch snaps for me and other vendors on the day. If you came down to say hi, thank you! I can't wait to be in touch again soon. And again, huge ginormous thank you to the lovely ladies and creatives who played a role in my display!